Gene Rand, 78, of Valparaiso, died peacefully in his home on Saturday, September 22, 2018. Gene was born in North Bend, Wisconsin on April 18, 1940, to Robert and Dorothy (Sims) Rand. On June 22, 1974 Gene married Sharon Rand who precedes him in death. Gene is a retired truck driver and enjoyed bowling, woodworking, and hunting. 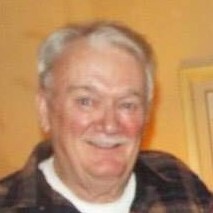 He was a Veteran member of the VFW, Moose Lodge and Eagles Lodge. Gene is survived by his children Kathy (Ed) Hanson, Michael (Carrie) Rand, and Jennifer (Matt) Spiess. He is also survived by 11 grandchildren, 6 great-grandchildren, his sisters Arly Mae Rand, Linda Lee Mills, Jane Christenson, Mary Ann Rippe, and brother Robert Rand . He is preceded in death by his parents, wife, and brother. A memorial service will be held at the Newhard Funeral Home, 58 W. Walnut Street, Westville, IN on September 30, 2018 at 1:00 PM. Pastor Mike Eddy officiating.